Henry Tudor was the least likely candidate to become King of England. A descendant of King Edward III, he was born to a teenage Lancastrian mother during the precarious time in English history that came to be known as the Wars of the Roses. He ended up spending fourteen years in exile in Brittany and France. Chaos ensued when the Yorkist King Richard III usurped the throne creating an opportunity for Henry to found a new dynasty of kings. Born on January 28, 1457, Henry was the son of Edmund Tudor, Earl of Richmond who was a half-brother of King Henry VI. 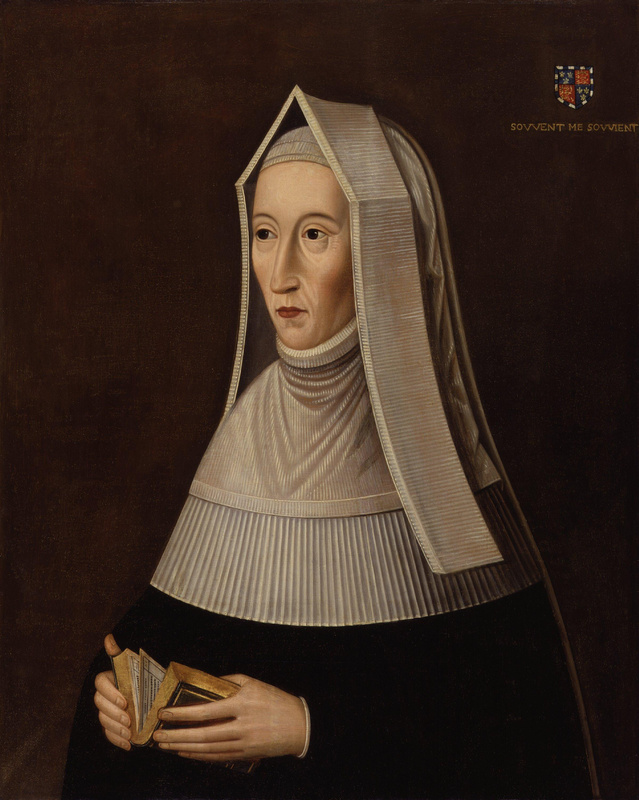 Henry’s mother was Margaret Beaufort, a descendant of King Edward III through his son John of Gaunt, Duke of Lancaster and his liaison with Katherine Swynford. At the time of Henry’s birth, there were precious few descendants of the Lancastrian line and Henry VI was a weak king who was struggling to maintain his position on the throne in light of threats from Richard, Duke of York and his sons who were also descendants of Edward III. The first acknowledged battle of the Wars of the Roses was fought two years before Henry was born. Henry’s father had died just two months before his birth and his mother was only thirteen at the time. She sought the protection of her husband’s brother Jasper until she found a suitable man to marry. 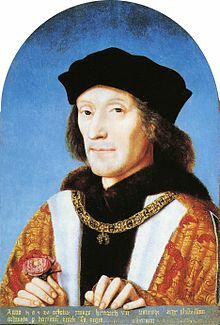 Henry grew up with his mother until King Edward IV overthrew Henry VI and put young Henry under the guardianship of the Yorkist William, Lord Herbert. Lord Herbert and his wife treated Henry well while he was in their household at Raglan Castle in Wales and he received a good education and training in archery. Lord Herbert planned to marry Henry to his eldest daughter. 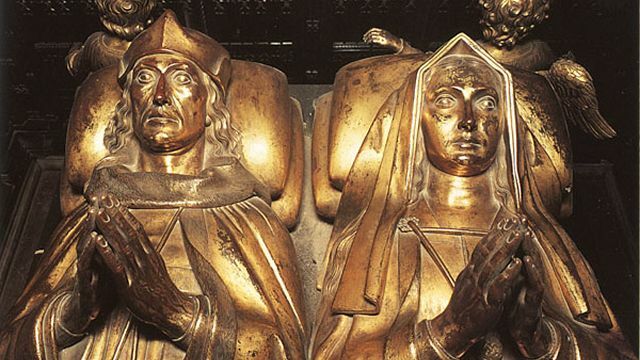 When Herbert died in battle in 1469, Henry stayed with Lady Herbert. King Henry VI returned to the throne from 1470-71 and Henry’s family was back in favor. Henry was with his uncle Jasper when Edward IV won back the throne in 1471. The king was besieging Jasper’s home of Pembroke Castle when Jasper and Henry made a daring escape and headed for France. Stormy weather blew them off course and they landed in Brittany where Duke Francis II offered them asylum. 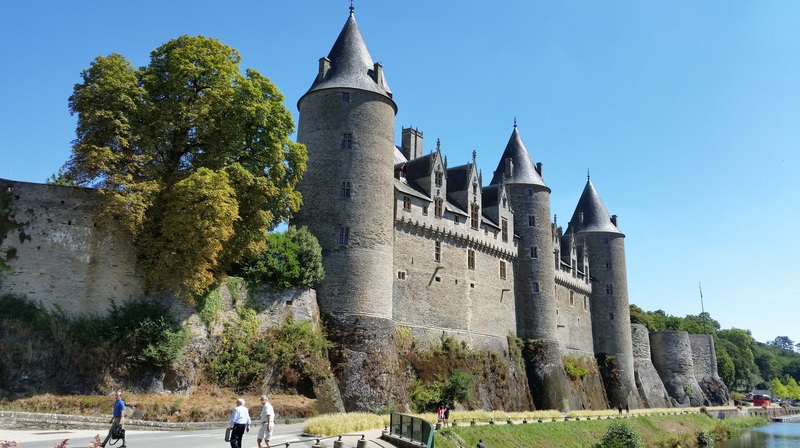 Due to pressure from Edward IV, the men were held under genteel house arrest and spent time in various castles in Brittany. Over the years, Edward IV and King Louis XI of France sought custody of Henry and Jasper and nearly succeeded in capturing them. But Duke Francis kept them safe. Henry’s mother was working with King Edward to arrange for Henry’s return to England, succession to her estates and the restoration of his father’s titles and revenues. 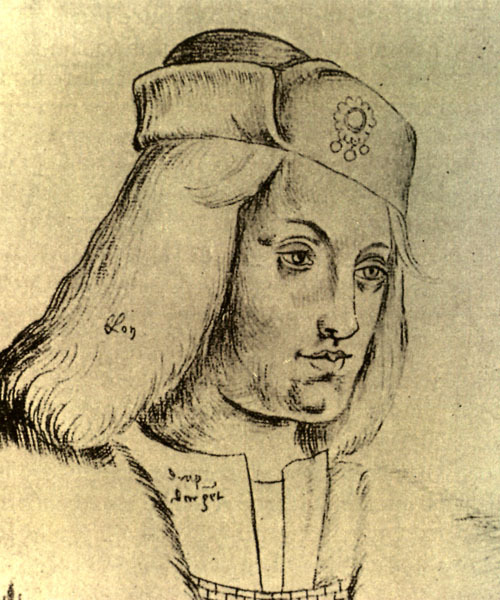 A marriage with King Edward’s eldest daughter Elizabeth was also discussed and arrangements were in an advanced state when Edward IV died unexpectedly in April of 1483. King Edward’s brother Richard, Duke of Gloucester usurped the throne from Edward’s designated successor, his son Edward. When it was presumed that King Edward V and his brother Richard were killed in the Tower of London in the fall of 1483, there was a possibility Henry Tudor could claim the throne due to the lack of living direct Lancastrian heirs. Henry’s mother and other opponents of Richard III, including the dowager queen Elizabeth Woodville, began plotting to put Henry on the throne and finalize his marriage to the Princess Elizabeth. Henry had raised troops and was going to sail to England to join the rebels but was thwarted by bad weather. Richard suppressed the ensuing uprising but many of the rebels left England and joined Henry in Brittany. On Christmas day in Vannes Cathedral, Henry swore he would marry Elizabeth of York promising peace and putting an end to the conflict in England. In the fall of 1484, Henry was under threat of being captured and traded to England in return for archers to help Brittany fight France. Henry was forewarned and escaped over the border to the French court. He was welcomed there and traveled with the king’s entourage. John de Vere, earl of Oxford joined him, enlarging the ranks of men who supported Henry and enhancing his bid for the English throne. King Charles VIII’s sister Anne de Beaujeu, who was acting as his regent saw an opportunity to challenge Richard III and gave Henry money, troops and ships for an invasion. Beginning in December, letters had been sent out seeking friends and allies to fight King Richard. Henry sailed on August 1, 1485 and landed in Wales on August 8. After a long march, gathering more help along the way, Henry met Richard III at Bosworth. The two armies engaged and it looked like Richard had the advantage. In the bloody struggle, Richard charged at Henry and his banner. But William Stanley, brother-in-law of Henry’s mother Margaret, who had been waiting on the sidelines to ascertain the outcome, joined the fight on Henry’s side and Richard was killed. In a most astounding turn of events, Henry Tudor was now Henry VII, King of England by right of conquest. Henry was crowned with Richard’s crown on the battlefield and he slowly made his way south. He entered London on September 3 in triumph. Henry was crowned in Westminster Abbey on October 30. The new king generously rewarded his supporters, especially his uncle Jasper who was made Duke of Bedford. There were some Yorkists who continued to fight but most of them made peace with Henry. 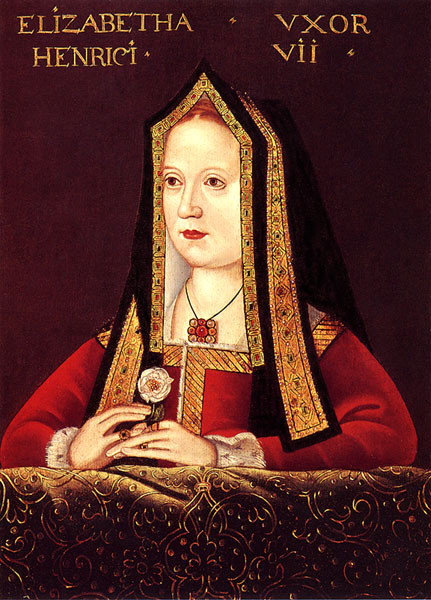 On January 18, 1486, Henry married Elizabeth of York. Descriptions of Henry say he was of above average height, strong, slender and blue eyed. He is said to have had a quiet presence and regal bearing. He dressed sumptuously although usually in black. Later in life his hair turned white and his teeth were rotting. He presided over a magnificent and lavish court, participated in formal crown-wearing ceremonies and consistent touchings to heal scrofulous subjects, all reinforcing his majesty. Henry patronized poets, artists from the continent, used dynastic badges on his buildings, charters and liveries and engaged in a program to improve several royal residences. He started construction on the Lady Chapel at Westminster Abbey in anticipation of establishing his tomb there. He amassed a large assortment of beautiful tapestries and invested thousands of pounds in collecting jewels and plate to adorn his royal residences. Henry enjoyed gambling, playing tennis, shooting longbows and crossbows, hunting and hawking. He was manifestly pious and gave money to establish friaries and ecclesiastical building projects. Henry was endowed with the confidence and talents needed to take on the challenge of uniting and consolidating a turbulent kingdom and government with great strength of purpose. Relying on the regime of administration put in place by his Yorkist predecessors, he built a strong and financially sound government ensuring the security and prosperity of his realm. By rewarding those who had helped him win the throne and pacifying those who had fought against him, he effectively reined in the fractious nobility, establishing security for himself and his dynasty. He sought recognition and prestige from overseas monarchs, bolstering his position with his own subjects. Henry utilized Parliament to reinforce his policies and extend his powers as king. Parliament granted him the taxes he requested but he made sure he didn’t overtax his subjects and risk rebellion. Under his personal supervision, he refined the procedures of revenue collection and allocated the funds to his government in such a way that the Crown became solvent for the first time in many years. Customs revenue was augmented and he encouraged trade with England through diplomacy and treaties. In addition to increasing merchant shipping, Henry strengthened the navy. There were lingering remnants of supporters of the Yorkist regime in England. Due to the unsolved whereabouts of the King Edward V and his brother, it was inevitable there would be pretenders who would marshal support and fight against the new Tudor dynasty. The most notable of these pretenders were Lambert Simnel and Perkin Warbeck. Simnel was actually crowned King Edward in Ireland by some of his supporters. After a showdown with his supporters, Henry captured Simnel and treated him fairly. Warbeck presented a far greater threat as he had international support. Another battle ensued and Henry was victorious again. Warbeck was also treated fairly in the beginning but was later executed when it became politically expedient. There were other revolts too but Henry always acted swiftly in suppressing them. It appears Henry and Elizabeth of York enjoyed a loving marriage and they had eight children together. The eldest, Arthur, born in 1486, would be given the title of Prince of Wales and married Catherine of Aragon, daughter of the Spanish monarchs Ferdinand and Isabella. The marriage would be one of Henry’s greatest diplomatic triumphs. In what was considered a devastating blow for Henry and Elizabeth, Arthur died on April 2, 1502. Daughter Margaret, born on November of 1489, would marry James IV, King of Scots. The next child would be the infamous Henry VIII, born in June of 1491. A daughter Elizabeth would live just over three years and was buried in Westminster Abbey. Mary, born in 1496, married King Louis XII of France. She was Queen of France for three months and once widowed, married the love of her life, her brother Henry’s best friend Charles Brandon. King Henry VII and his family. 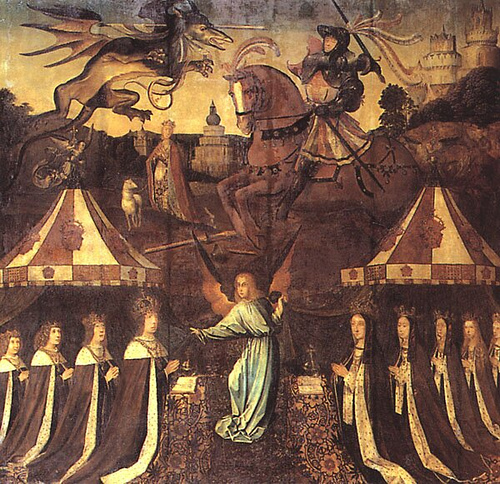 The image depicts all of Henry and Elizabeth’s children, even those who died young. Another son Edward was born in 1498 and died young. Edmund, Duke of Somerset lived a little over a year and would be buried in Westminster Abbey. A daughter Katherine was born to Elizabeth in February of 1503. In a second devastating blow to Henry and the Tudor dynasty, Elizabeth and her newborn daughter died in the Tower of London. Henry spared no expense in staging a magnificent funeral for Elizabeth. Henry went into deep grief and mourning and was never the same after he lost his wife. Presentation page from the Vaux Passional, Peniarth MS 482D, f. 9r. 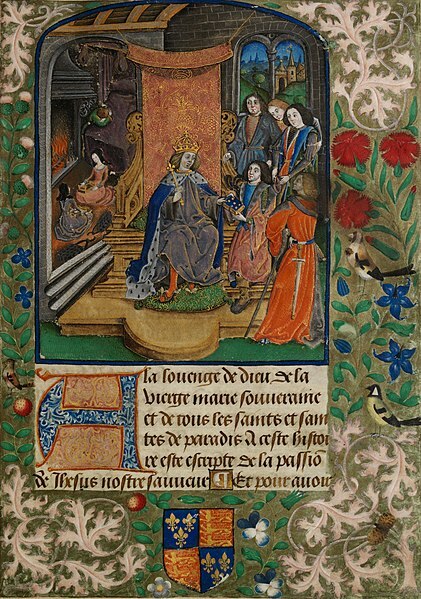 The illuminated miniature depicts Henry VII enthroned; and in the background on the left Margaret Tudor, Mary Tudor, and the future Henry VIII beside an empty bed in the aftermath of the death of Elizabeth of York. Henry sought a new wife for himself during this time. Some of the women considered were Margaret of Savoy, Regent of the Netherlands, Joanna, Dowager Queen of Naples, Marguerite of Angoulême and even his erstwhile daughter-in-law Catherine of Aragon. No marriage ever materialized. Philip, Duke of Burgundy and his wife Juana, sister of Catherine of Aragon, were unexpectedly blown ashore in England in January of 1506. Henry lavishly entertained them. When Philip died in September of that year, Henry sought the hand of Juana off and on until the end of his reign. From 1502, Henry’s health was deteriorating and his grip on the government suffered. His eyesight began to fail and writing was difficult. At one point, he was so sick the men around him were talking about the succession but he seems to have recovered. Beginning in 1507, Henry would fall ill in the early part of the year and then recover during the summer. In 1508, he had an attack of gout. Many of Henry’s favored councilors began to die during these later years of his reign leading to political insecurity. Some new men joined the council who would become notorious for using their power to extract money and pass attainders against men for political and financial gain, presumably on the orders of Henry. Tensions were high in the king’s inner circle and council when he succumbed to his illness again in early 1509. Henry had trouble eating for some time before his death. The illness is not identified but has been described as a ‘quinsy’ and tuberculosis in archives. In March, the king knew he was dying and made his last will on the 31st. He died at 11:00 pm on April 21. His death was kept secret for two days and although the council was fraught with conflict, the men managed to hold together well enough to make certain there was a peaceful transition of power to Henry’s second and surviving son Henry. The provisions of Henry’s will were carried out. Great sums were spent on masses for his soul and alms for the poor. Beginning on May 11, impressive funeral processions were staged from Richmond to St. Paul’s Cathedral and then on to Westminster Abbey where he was buried in his new chapel next to his wife. In 1518, the magnificent effigy of Henry and Elizabeth designed by Pietro Torrigiano was in place. It remains one of the first great monuments of Renaissance art in England. Henry had planned for a gold-plated statue of himself, kneeling in full armor holding the crown he had received at Bosworth by the judgement of God. His will requested this statue be placed on top of the shrine of Edward the Confessor at the high altar of Westminster Abbey. The statue was never built.